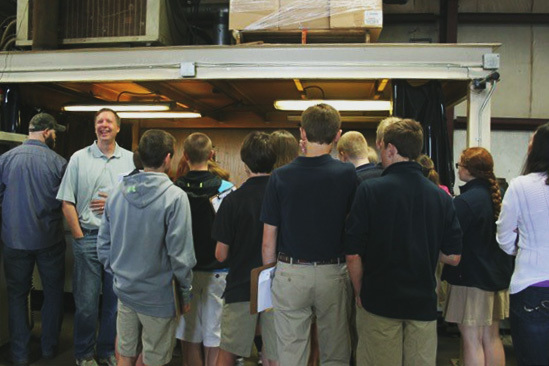 Every year in May, we invited the eighth grade class at the Assumption of the Blessed Virgin Mary Catholic School to visit Tuff Automation to learn about the careers one can hold in an establishment like ours. 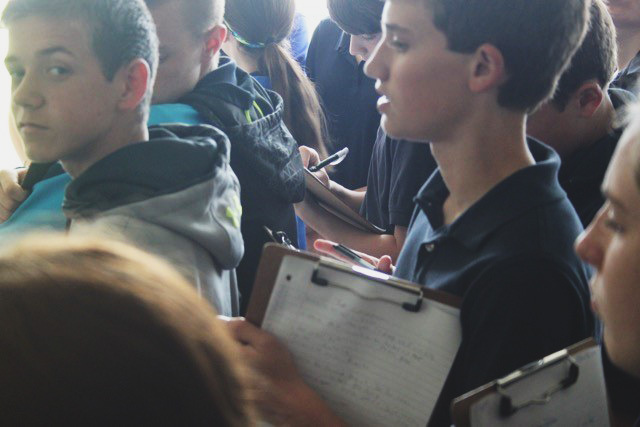 Students come through our doors, clipboards in hand, ready to take notes, and we hope that they walk back out of them with a new understanding of material handling and a budding interest in the science and math behind it. We started the day by introducing Tuff Automation and briefly explaining what material handling is. Then we showed a video that compiled footage of machinery we've made here at Tuff, so students could see some of our products in motion. 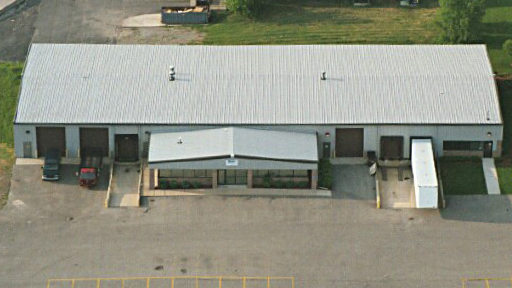 Once that was finished, we began a tour of the facility. The students learned all about the occupations of mechanical engineers, controls engineers, shop managers, welders, builders, and technical writers. They got to see some projects in progress, and learn all about the steps that go into taking a machine from paper to product. Perhaps the coolest thing the students got to see was the laser cutter, shear press, and brake press in motion. They were intrigued about how the laser cutter made such precise movements, and the sheer amount of weight the brake press wields to effortlessly bend steel into perfect angles. After we finished the tour of our facility, we walked the students across the street to our neighbors at Savant Automation, where they received a comprehensive presentation of the company’s history and product line. Students got to see Automatic Guided Vehicles (AGV’s) as they looked in the ‘50s and even got to see some modern ones zipping around Savant’s shop floor. They learned about the different applications of AGV’s and toyed with the sensors of the ones on the floor to see them stop and go again. When the students had to leave to go to the next destination on their career exploration field trip, we hope they walked away from Tuff and Savant feeling the way many of us do at the end of a day at work: like we’ve just been in an episode of “How It’s Made” on the Discovery Channel. We hope that this feeling engendered in them an eagerness to learn more about the truly grandiose processes behind the products they interact with on a daily basis. We hope that they know that they can get a cool job without a college education, if that’s what suits them. Most of all, we hope that they allow their experiences at Tuff and Savant to shape their aspirations for the future.